I've been so busy lately that I haven't had a chance to blog all of the pre-wedding engagement shoots and weddings I've photographed over the summer. As the wedding season draws to a close I now have an opportunity to show off some of my favourite work. Over the next couple of months I'll be blogging at least five weddings and three pre-wedding engagement shoots. 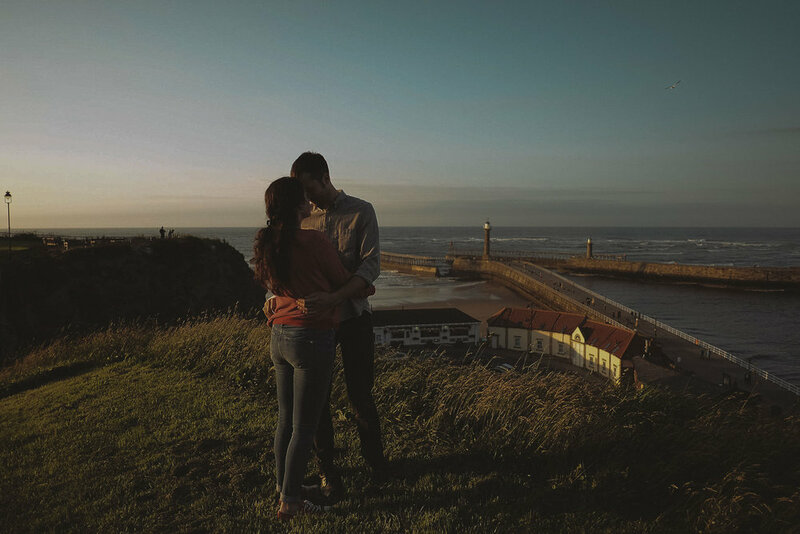 The first set of photographs I'd like to share are from Katy and Tom's engagement shoot in Whitby, way back in June. It was so long ago that I have since photographed their wedding! 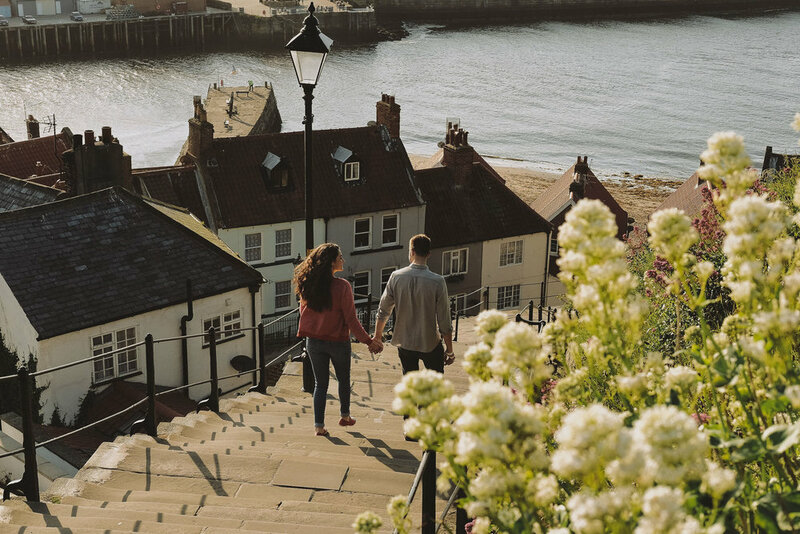 This was the first time I'd visited Whitby, on the Yorkshire coast, and it won't be the last, especially if the light is as magical as it was in golden hour for Katy and Tom. I found Katy and Tom so easy to get along with, and they came across so well on camera, that I couldn't wait for their wedding. Keep an eye out for that later - it's a bit special! For adventurous and creative wedding photography in Newcastle, Northumberland, Yorkshire or beyond, get in touch. and you can see more of my Yorkshire work on my Yorkshire weddings page.